We all have experienced it at one time or another. Okay so, we are talking about excess gas trapped in the stomach and the feeling of bloating caused by it. No matter how much aware you are of your diet and all, chances are high that you will end up developing the issue as a part of your normal digestive process. In this post, we will uncover the reasons behind too much abdominal gas so that you can identify your underlying digestive condition easily. In addition, get to know about the best natural remedies for gas and bloating that will help you get rid of the problem naturally. Do you often give out loud belches after your meals? This, usually, occurs because of swallowing too much air. The same is also responsible for the production of gas in the gastrointestinal tract, which causes gas in the stomach and leads to bloating eventually. You may feel embarrassed or uncomfortable due to excessive gas but experiencing it after eating and releasing it through belching or flatulence are pretty common phenomena. This occurs either due to the food you eat or the way you eat food. One way to control the gas and bloating is to change a few things about your food habits. Another way is to try some natural but effective remedies for gas and bloating. However, not all gas-like symptoms are caused by these. There may also be serious underlying causes, such as lactose intolerance, gastroesophageal reflux disease (GERD), irritable bowel syndrome (IBS), peptic ulcer, gastroparesis, and even colon cancer. Chew half a teaspoonful of fennel seeds after a heavy meal to prevent gas and bloating. They are known to be the most effective remedy for this. In fact, this is the reason for which most Indian restaurants serve fennel seeds after meals as they promote digestion and prevent any abdominal discomfort caused by spicy and oily food. If you don’t like the strong taste of the seeds, simply make a concoction by boiling them in water and drink it up for relief. Carom Seeds or ajwain is another miraculous remedy for gas. Just chew a spoonful of carom seeds whenever you are feeling bloated. They stimulate the production of digestive juices within our gastrointestinal tract, which help digest the food and eliminate excessive gas. You can also prepare carom seed water and drink it throughout the day in order to prevent gas and bloating. Boil a pinch of turmeric in some water and drink up the infusion to prevent any gas or bloating. The anti-inflammatory properties or turmeric not only soothe the gastrointestinal tract but also fasten the pace of digestion, thereby helping you feel lighter fast. Mint tea is another suggested remedy for gas and flatulence. Boil a couple of fresh mint leaves in water and drink up the tea when it cools down a bit. It will help soothe the irritated digestive system and also promote digestion. Drinking lukewarm to warm water along with a little lemon juice can help flush out all the retained gas and water that lead to bloating. Warm up a glass of water and squeeze half a lemon into it. 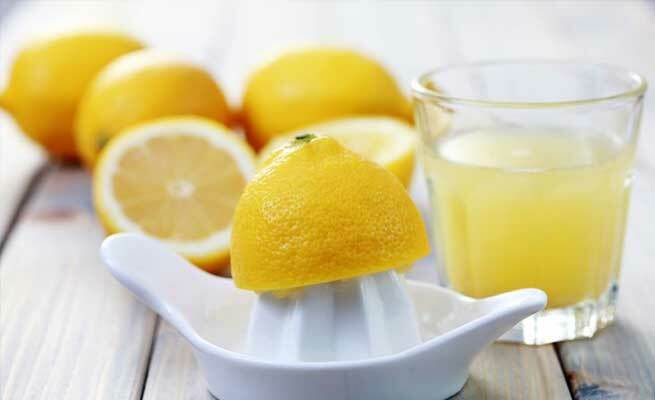 Lemon being a diuretic will give you quick relief from the discomfort. Eating a slice of pineapple also helps in overcoming gas. The bromelain enzyme in it is a digestive aid that cures gas and bloating naturally. Avoid certain foods, such as dairy products, bran, broccoli, cabbage, legumes, onion, Brussels sprouts, apple, pear, etc. that are infamous for causing gas. Being rich in fiber, starch, and sugar, these items remain undigested in our gastrointestinal tract and become gassy. Steer clear of sugar, artificial sweeteners, sorbitol (sugar alcohol), and everything else sugary including fruit drinks, carbonated soft drinks, etc. in order to manage your gas and bloating. Some specific food combinations like protein-starch can cause excessive gas in the abdomen. Try to find out which other combinations are affecting you and eliminate them from your diet. Instead of boiling, try steaming gassy food as it will help you retain their desirable components fully. Always drink a glass of water half an hour before taking your meal. This will facilitate your digestion while drinking water along with the meal will dilute stomach acids and make the breakdown of food harder. Do not consume your food and drink too fast as this will make you gasp a lot of air. Go slow to avoid swallowing air and you can stay away from the pain of gas easily. Stop smoking, drinking with a straw, chewing gum, and other similar practices that fill up your stomach with air. Try some light exercises like deep breathing, taking a stroll after a heavy meal, etc. These will not only help relieve the bloated feeling but also ease the passage of food through your system. Specially treated activated charcoal can help you reduce the tendency of gas and bloating by attaching to fluid in the gut and creating firmer stool. Available as OTC supplement, it can be taken in the form of a pill or along with a liquid. OTC digestive enzymes are known to break down the complex carbohydrates in our food into easily digestible sugars, thereby reducing gas and other associated symptoms. Abdominal gas is a natural byproduct of our digestive system and these remedies will keep it under control. However, you must consult your doctor in situations like chronic intestinal gas, persistent bloating, and severe pain.